"So when we think about this idea of our experience not being the only experience, we start to have a fundamental responsibility to diversify the narratives that we're promoting." 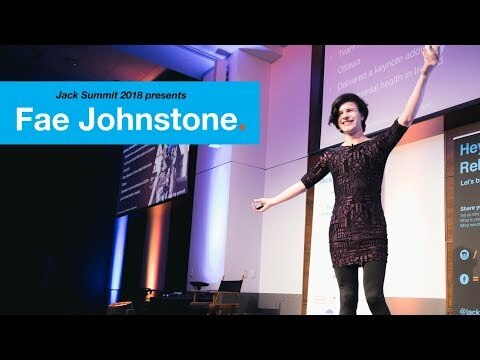 Fae Johnstone (she/they) is a transfeminine, queer, and nonbinary person and an experienced activist, community organizer, and facilitator. She is a fourth-year Bachelor of Social Work student at Carleton University, a member of the Strategic Advisory Council of the Ontario Centre of Excellence for Child and Youth Mental Health, and a Core Team Member of Trans Health Information Ottawa. This past year, Fae has been a lead organizer of Slutwalk Ottawa, Trans Day of Remembrance, and the Rally on Parliament Hill for Trans Rights Bill (C16). This past year, Fae delivered a keynote address on LGBT2SQ+ youth mental health at the International Association for Youth Mental Health Conference in Dublin, Ireland. Fae can be found on Twitter @FaeJohnstone.